Very interesting video. I’ll point out this article, which describes how modern fruit has been bred to be so sweet that zoos cannot feed it to some animals. “He doesn’t give you questions, he doesn’t give you orders, he speaks in code, and I understand the code because I’ve been around him for a decade,” Michael Cohen told the House Oversight Committee on Wednesday about President Trump. It was not the most shocking statement, but it might have been the most insightful. By Cohen’s estimate, Trump used him more than 500 times to threaten and intimidate people. Tactics such as “catch and kill” and inflating or deflating his wealth are standard Trump tactics, Cohen says. Trump used lawyers to shield himself from detection (e.g., Jay Sekulow edited Cohen’s false testimony, the hush-money payments went through Cohen). Lawyers are there not to advise as to legality but to enable Trump’s allegedly illegal acts. Protecting Trump requires finessing testimony, scaring witnesses and flat-out perjury. If all that sounds familiar, you might be a fan of mob movies. In Cohen’s telling, Trump sits atop a kind of crime factory mowing down red lines daily, operating above and beyond the law to enrich its top boss and depending on the ultimate loyalty of underlings. Reporters have often commented that Trump publicly speaks in language a crime boss would use (e.g., deploring “flipping”). That may not be a coincidence. Trump’s self-image and organization are very much styled after a Hollywood movie portrayal of a gangster and his crime family. As in the movies, the organization breaks down when someone becomes a “rat,” a cooperating witness. You have to find someone deep in the organization to provide insight into the day-to-day operation, to break the code, as Cohen said. These people are criminals, which is why they have access to even bigger criminals. Saying Cohen is a convicted perjurer is like saying Sammy “The Bull” Gravano was a felon. Well, duh. How else were the feds going to catch up to John Gotti and dozens of other mobsters? Furthermore, Cohen brought documents with him, no doubt a fraction of what prosecutors have, and put other witnesses, especially Trump Organization CFO Allen Weisselberg, in the center of activities. (Weisselberg is cooperating with prosecutors under a grant of immunity.) . . . It was telling, however, that just like mob lawyers defending their client, Republicans only attack the cooperating witness. They have nothing to say about the substance of Cohen’s testimony. None other than former prosecutor and New Jersey governor Chris Christie observed, “The interesting thing is that there hasn’t been one Republican yet who has tried to defend the president on the substance, and I think that’s something that should be concerning to the White House. Why are no Republicans standing up and defending the president on the substance?” I think the question was rhetorical. From here. I particularly like this explanation of the Dunning-Kruger effect, which is too often (mis)stated as a result of lacking intelligence (which is wrong: intelligence is no guard against DK), rather than as a result of lacking knowledge (the essential cause of DK). I think the (perhaps unconscious) reason for the misstatement—that it is stupidity and not ignorance that results in the fallacy—is that intelligent people want to believe that they are immune to the effects of DK. The misstatement is itself an instance of the DK effect. Every magician is master of deception, and we adore being deceived. How do magicians accomplish their illusions? The key to every magic trick is misdirection. If you tell the members of the audience to look at A, then they will not look at B. And it is B that makes the trick work. That is why many magicians forbid cell phones during their performances. If you can take a video of the trick and play it back repeatedly, you might eventually be able to find out how the trick works. You can keep looking for B, even though the performer is doing everything to make sure that you are focused on A. Why am I talking about magicians in a blog devoted to medicine? Two weeks ago, I wrote a post about my experiences as a principal investigator in large-scale clinical trials. Several readers thought that my personal experiences did not represent the norm. Many thought that clinical trial data are commonly manipulated in order to put them in the best possible light. I had to acknowledge that their concerns were valid. A respected friend suggested that I devote a post to describing how someone might manipulate data in order to make a negative trial look like a positive one. My challenge: how could I possibly describe it in a blog? Soon the answer became obvious. Deception of the audience in presenting a clinical trial is based on the same strategy of misdirection that magicians use to make their performances work. Believe it or not, there are dozens of possible forms of misdirection that are possible when presenting the results of a clinical trial. They could fill an entire book. But today, I am going to mention the two most important ones, which any reader or listener can look for. First and most important is the trick of missingness. The best way to make data look better is to take out data that you do not like or not bother to collect it at all. If the presentation does not account for missing data, all sorts of mischief are possible. Let us say that you have randomized 600 patients in a trial. According to the intention-to-treat principle that governs the integrity of clinical trials, you need to show data on 600 patients. But often, investigators will show you data on 550 patients, having taken 50 patients out of the analysis. Clinical investigators can provide all sorts of reasons why the 50 patients are missing. They can say that the patients never returned for follow-up, or that they violated the protocol and were removed from the analysis. Investigators can get very creative in devising reasons that seem credible but are biased. They can even claim that the missingness does not matter if it affects both treatment groups equally, even though that is certainly not true. The truth: Missingness is never random, and if it is large enough, it is always a source of bias. Did the patient not return for a repeat evaluation because they died or suffered a serious adverse effect? The investigator might not even know. The integrity of a clinical trial depends on the ability of an investigator to fully describe and account for all missing data. A strong investigator worries about missing data; a careless investigator ignores the problem. When is missingness important? When the amount of missing data is a meaningful proportion of the size of the treatment effect. Example: if the treatment group had 25 fewer deaths than the control group, missing data in 15 patients is meaningful. If the treatment group had 200 fewer deaths than the control group, missing data in five patients is very unlikely to be relevant. Second is the trick of not showing a planned analysis, or alternatively, showing an analysis that was not planned. In every clinical trial, the rules governing data analysis are written down in advance in a protocol and a formal statistical plan. These documents provide evidentiary proof that the investigators are planning to look at a very specific endpoint that is defined in a very specific way and analyzed in a very specific manner in a very specific sequence. These rules are defined before anyone has a chance to look at the data. How do you know if the investigators followed their prespecified rules? You need to read the protocol and the statistical plan. And if you can, you need to look at the dates that these documents were filed in advance with regulatory agencies. These documents might reveal that the investigators defined four endpoints in a very specific manner, and that they intended to analyze them in the following sequence: A, D, C, B. So would you worry if the investigators only presented the results of A and C? Would you worry if they changed the definition of A after the fact? Would you worry if they analyzed C in a way that was not planned? And would you worry if the presenter told you to focus your attention on a new endpoint — let us called it E — which was never planned in advance at all? You should worry under all these circumstances. How can you tell if the investigators followed their plan faithfully? A few top-tier journals require that the investigators provide files of their protocol and a statistical plan at the time of initial peer-review, and they are published as online supplements to the paper reporting the main study results. Sadly, most journals do not have this requirement. And even when these documents are published, most readers do not bother to look at them. There are four important things to remember about these documents. Investigators know that these documents will be closely scrutinized. Therefore, some might be tempted to specify an improper analysis in advance. Specifying something stupid in the statistical plan does not make it valid. Investigators should summarize the essence of these documents on a slide shown at the time of their presentation at a scientific meeting. It is one of their most important slides, but it is also the one that most people in the audience ignore. And all too often, it is missing entirely. If the drug or device is approved, the FDA is required to make its analyses available to the public. Therefore, it is possible to compare the analyses in a publication with the analyses performed by the FDA. For all prespecified analyses, these should look very similar to each other. The FDA analyses are particularly easy to access if the drug or device has been considered at a public advisory committee, since they are posted simultaneously on the FDA website. The statistical plan focuses only on the analyses that are relevant to demonstrating the intervention’s efficacy for a specific indication. Many secondary papers from a clinical trial describe analyses intended to learn about other effects of the intervention or about the disease itself. These analyses are not part of the regulatory approval process, and their findings should always be considered in the context of the totality of evidence in the medical literature. Some are hypothesis-generating; some confirm similar observations in other trials. So in a nutshell, here are two simple rules. First, are there missing data and is the degree of missingness meaningful? Second, did the authors specify a valid analysis plan in advance and did they follow it? If these two simple rules are not followed, . . .
Southern honor society was strictly for whites. Slaves and, later, African-Americans were not allowed to be sensitive about their honor, so their stance was more like that of Br’er Rabbit, who could slyly outwit his much stronger (and more dangerous) antagonists but could not afford to confront them directly—and Br’er Rabbit had to be constantly alert, with running and escape as virtues. In general, the culture of the slave owners and their supporters in a slave-owning society must necessarily devalue empathy because empathy is risky when dealing with slaves, the risk coming from other slave owners rather than the slaves themselves. A slave owner who treats his or her slaves kindly and advances their interests is viewed by other owners as a threat and a possible cause of slaves becoming aggressively dissatisfied with their lot. Indeed, the antebellum South seemed to live with a constant low-level fear and anxiety about the possibility of a slave rebellion. We see that lack of empathy still very much a part of the dominant (conservative) Southern culture: the attitude of seeking their own gain and not caring about the community as a whole. US police departments developed their own culture from their origins as slave patrols and nightwatchers, with responsibility to see that slaves did not escape and that no slave rebellion could take place. Cultures persist over generations, and I think we still see the scars of the cultural accommodations of slavery to this day, both among Southern conservatives and in many police departments. One characteristic of Republican politics is looking out for oneself and having no empathy for those who are in strained circumstances. (For example, Republican states were willing to spend money to prevent Medicaid expansion which would give the poor access to healthcare. D.R. Harris is the only big-name English shaving soap company that continues to make its own soap: the others contracted out soap production and accepted the reformulation that the soap producer imposed. As a result, D.R. Harris is the only big-name English shaving soap company to preserve quality and reputation. 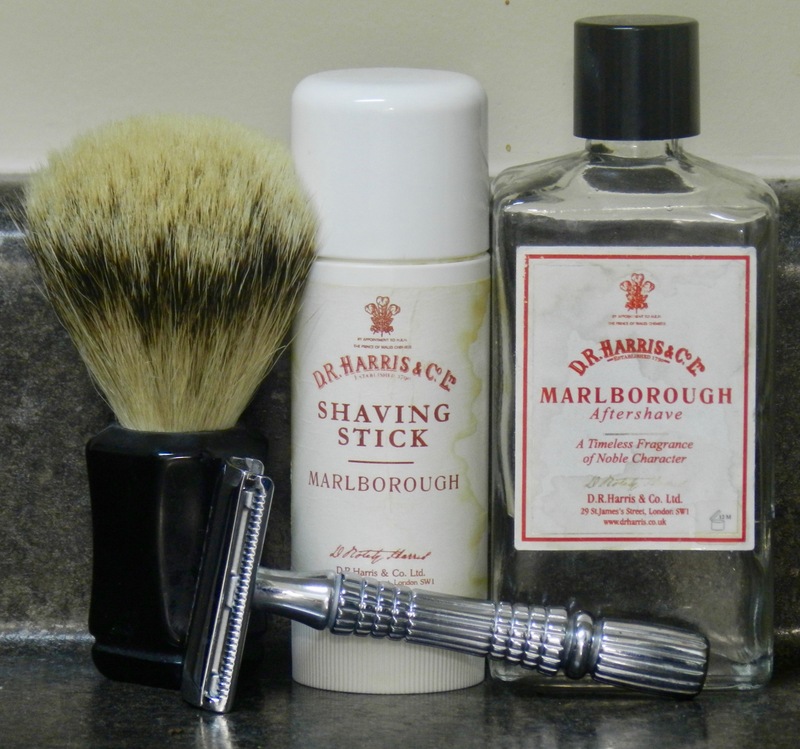 When I was in the early days of my return to DE shaving I would occasionally think, “Wow! Excellent lather today,” and look to see what soap I was using. Virtually always, it was D.R. Harris, and once again today I had the “Wow!” experience. The lather was thick, creamy, and dense, just like the lathers I get from Mama Bear soaps, though the two differ considerably in their formulation—D.R. Harris is a tallow-based soap, Mama Bear’s is a glycerin-based soap. But the lather from both is, if I may be technical, scrumptious. My little Whipped Dog silvertip did a fine job, and the Baili 171 was its usual wonderful self, delivering a BBS result in three passes with total comfort. A splash of Marlborough aftershave, with its wonderful woody fragrance, finished the job and left me feeling ready for the day and what it might bring. Perhaps the most searing critique of today’s behavior by House Republicans came from Cohen himself: . . .